Credit to Jennifer Lauer of the Southern Wisconsin Paranormal Research Group for sending in this material. Video archived with permission. Original uncut footage sent in by Videogenics via DVD (not shown). JANESVILLE—Brittany Bailey and Emily Gage had no idea how hard it would be to complete an unfinished film about haunted places by their late father. “We thought it would be a nice tribute to him,” Brittany said. In the process of finishing “Strange Incorporated,” they honored their dad, John Gage, who died in a car accident in 2008. But the endeavor stoked raw emotions. 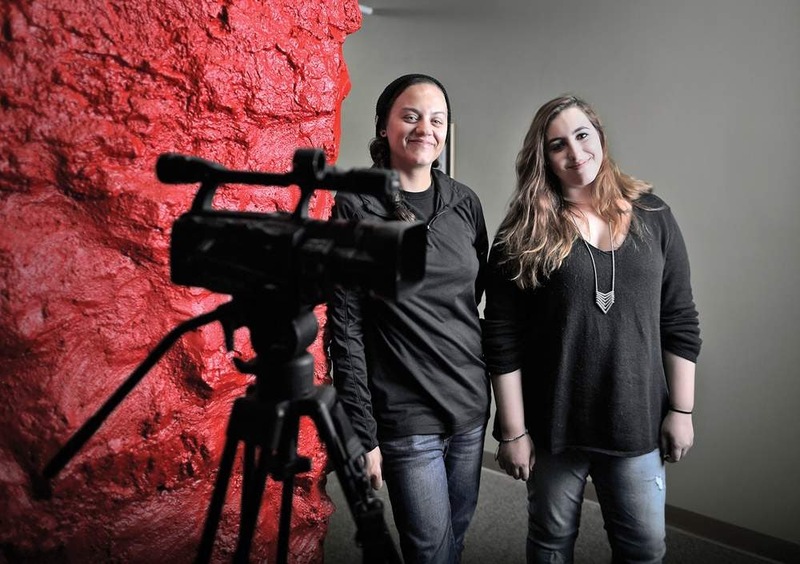 Both women work at Janesville's Videogenics, a video-production business started by their father and grandfather, Howard Gage, in 1986. A premier showing of "Strange Incorporated" took place earlier this month in partnership with the Rock County Historical Society, and another screening may take place early next year. Material in the film is just as fascinating as the story of how it was made. In 2001, John Gage and a crew of friends made a video about Bachelor's Grove Cemetery in Illinois. The small, abandoned graveyard is known as one of the most haunted cemeteries in the United States. Apparitions, floating balls of light and unexplained sights and sounds have been reported there. John Gage unsuccessfully tried to use the film to sell the idea of a paranormal TV series, then tucked away the idea. After his death, he left behind hours of additional video shot at Manteno State Hospital in Kankakee County, Illinois, which he was going to turn into a second TV episode. This is where Brittany and Emily stepped in. The women, both in their 20s, called upon their father's friends who were involved in the original project and asked them to talk about their experiences at Manteno. Brittany edited the film, while Emily wrote the compelling script about the state hospital, which like Bachelor's Grove has a reputation of being haunted. After reviewing the video, they did not find evidence of the paranormal. But they realized the horrors of life at Manteno were far more frightening than spirits of the dead. The massive mental health complex conducted experimental testing on patients without consent. Doctors at the facility also performed regular lobotomies and shock therapy. In addition, allegations of sexual abuse were common at the complex, which closed in 1985. Brittany and Emily tell the story of a young woman taken to the hospital by her parents after an argument. Spray-painted graffiti on tubs and walls of the hospital tell of Gennie's horrible fate. Brittany calls “Strange Incorporated” the biggest production of her young career. She and Emily are pleased with the outcome. Both believe John Gage also would be happy with the film. Brittany Bailey, left, and Emily Gage, both of Janesville's Videogenics, are finishing a film about Manteno State Hospital that was started by their late father, John Gage, before he died in 2008. The Janesville women see their work as a tribute to their dad.